K brought home some beautiful artwork from day care. 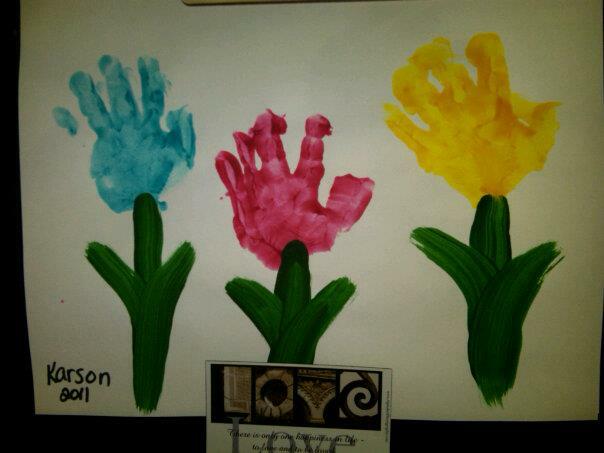 His chubby little hands make some beautiful flowers, don’t you think? It is proudly on display! I have an “art wall” idea that I hope to share with you soon. In the meantime…enjoy!